Valley City (CSi) The Valley City Commission met in Regular Session Tuesday evening at City Hall. Commissioner Erickson was not present. Monthly Bills for the City and Public Works in the Amount of $2,262,276,07. Approved was the first reading of an Ordinance creating and enacting Section 7-03-05.1 of the Valley City Municipal Code, relating to removal of snow and ice from sidewalk, and repealing Section 23-15 of the Valley City Municipal Code. City Attorney Martineck said it’s a recodification of the City Code, and still maintains that snow be removed with 24 hours of a snowfall. Approved was, a Resolution Amending the Master Fee Schedule to Include Penalties for Violation of V.C.M.C. 7-03-05, Relating to Unlawful Removal of Snow, Slush or Ice. Approved was a Resolution Approving Contract between the City of Valley City and Western Area Power Administration for Roles & Duties Related to Transmission Operator Services and Approving Transmission Operator Procedure. City Administrator Schelkoph said Valley City has purchased two breakers, and requires security measures, with WAPA. Approved was a Resolution Amending Paving Improvement No. 119-B (2nd Avenue NE from 5th Street NE to 7th Street NE) KLJ says protests will be accepted. 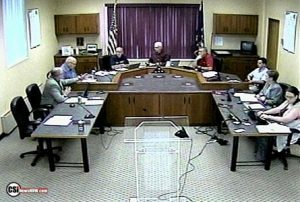 Commissioners approved a Resolution Approving Preliminary Engineer’s Report and Directing Preparation of Detailed Plans, Specifications, and Estimate of Probable Costs for Paving Improvement District No. 119-B (2nd Avenue NE from 5th Street NE to 7th Street NE) KLJ said the project includes repaving, plus replacement of sanitary sewer lines at a cost of $90,000, water mains at $85,000, and the total project cost is $535,000. The City Commission approved a Resolution Declaring Necessity of Improvements for Paving Improvement District No. 119-B (2nd Avenue NE from 5th Street NE to 7th Street NE) KLJ the action will establish the official 30 day protest period, with public meetings concerning Special Assessment for effected property owners. Approved was the Preliminary & Design Engineering Agreement for Paving Improvement District No. 119B with KLJ in an amount not to exceed $42,500. Commissioners approved a 6 month extension for Brockopp Brewing, LLC pursuant to V.C.M.C. 4-01-11(1.b.iii). City Attorney Martineck said the request would approve a six month extension of the liquor license. The City Commission approved a Renaissance Zone Authority Board recommendation for 5 year income tax exemption and 5 year property tax exemption for Rehabilitation at 114 E Main Street by Brockopp Brewing, LLC, and designate it as VC-115. Renaissance Zone Authority Board unanimously voted to recommend approval. The Commission Approved accepting bid for a 2019 Police vehicle a Tahoe from Puklich Chevrolet. Police Chief Hatcher said the police department will trade in the 2015 Tahoe. Commissioners allowed Commissioner Magnuson to vote, after declaring a conflict of interest being an employee of Puklich. David Schelkoph noted, the recent cold snap saw the city’s infrastructure held up well, with one water main break. He noted on January 26 the Fire Department’s Appreciation Banquet was held. With the legislative report, the Prairie Dog Bill was explained that would allow oil extraction taxes to support local infrastructure, and the funding bill for the State Water Commission. He noted the suspension of two days last week of garbage collection due to dangerously cold temps and wind chills. Any garbage not collected those two days will still be collected, and to have it out by 7-a.m., each day. He noted that last week two garbage trucks had broken down. Mayor Carlsrud reported on last week’s snow removal efforts. City Fire Chief Magnuson reminded residents to keep sewer vents open and clear of ice and snow to prevent sewer gas build up in the homes, and recommended contacting a plumber to have the vents cleared. He asks residents to keep icicles knocked down from structures, and to keep gas meter vents open. The full meeting was shown live on CSi Cable 68 followed by replays.